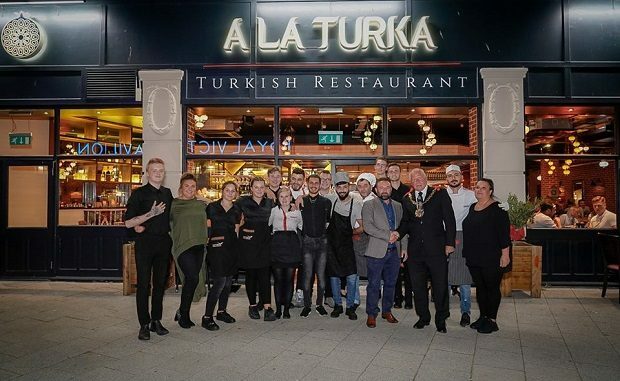 An array of cocktails, live music, light explosions and authentic Turkish food have marked the official opening of A La Turka restaurant on Ramsgate seafront. The venue, formerly the site of The Bench, opened its doors last month but held an official ribbon-cutting with invited guests on Monday (October 1). 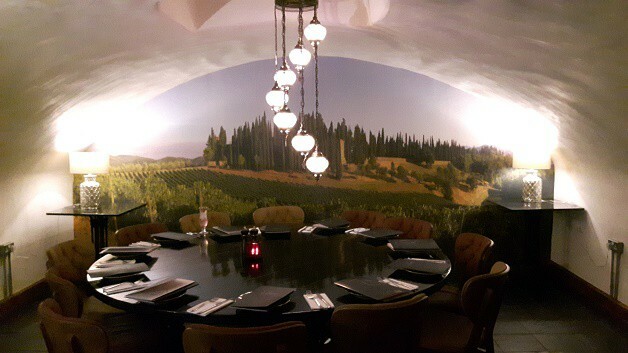 The restaurant has undergone a total refurbishment and includes an open kitchen and a special private dining area with arched ceiling and stunning decoration at the rear of the property. Traditional Turkish mosaic lamps and wall rug hangings are set in a clean and bright floor area. 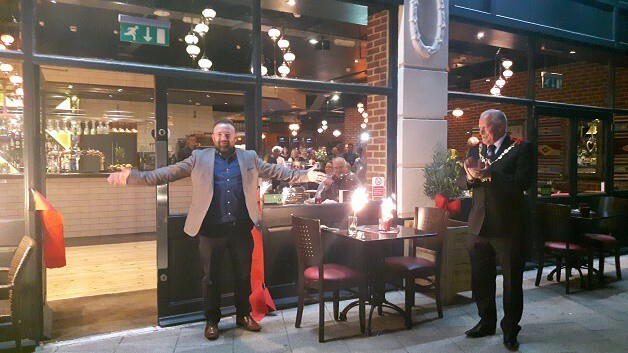 The official opening was attended by guests including Ramsgate mayor Trevor Shonk who assisted owner Mehmet Dari with the ribbon cutting. 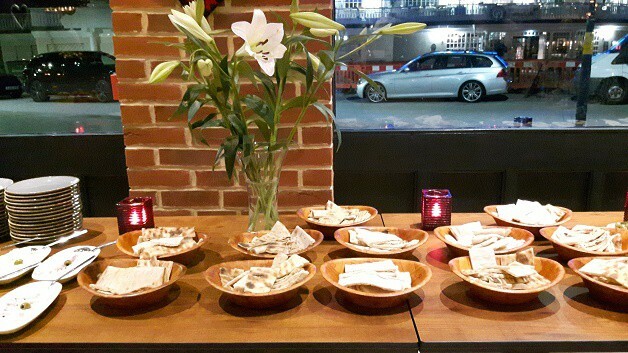 Memhet also owns A La Turka restaurants in Canterbury and Herne Bay. The venues serve dishes from Gaziantep in Turkey. 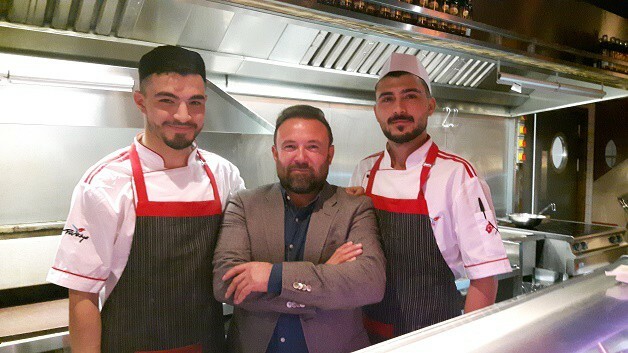 Mehmet is the third eldest of nine siblings from a family of farmers from the settlement of Gaziantep. He came to the UK in 1998 and, having always had a love of food and cooking, knew he wanted to open his own business in the industry. He spent a few years working in different establishments to understand the food business in the UK and opened his first food outlet in 2000 and first restaurant in 2006. 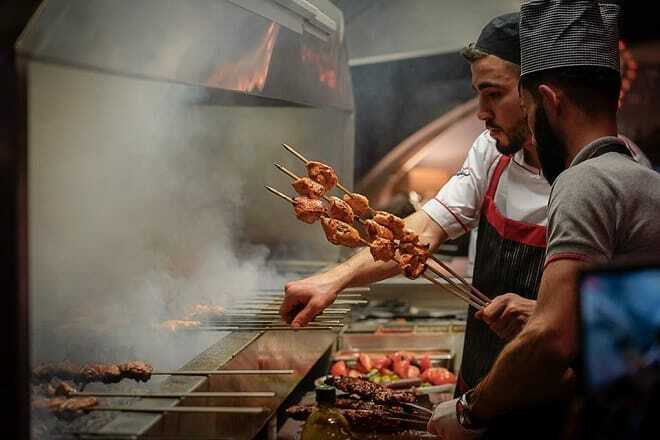 Meat for the A La Turka menu is sourced in Kent, vegetables are bought from London markets and herbs and spices come from Mehmet’s home city.